Paint Me a Pepto is a champion cutting horse mare. Dual-registered with the American Paint Horse Assn (APHA), "Deja" as she is called by her owners at Painted Valley Ranch, has earned her APHA Certificate of Achievement, Certificate of Recognition, and Open and Amateur Register of Merits - all in addition to multiple World an Reserve World Champion titles! 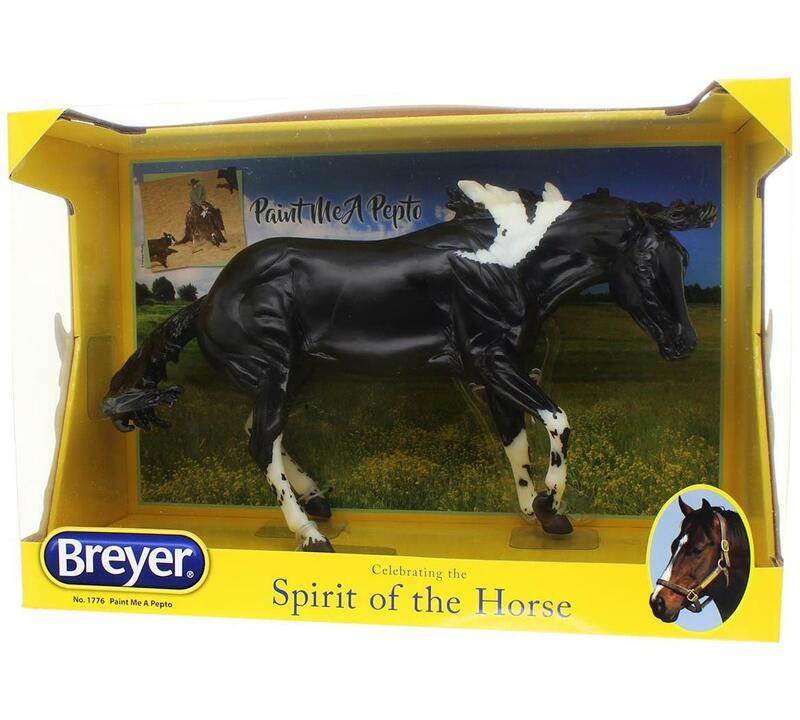 This Breyer 1:9th scale model horse measures approximately 12-inches long and 9-inches tall. Model is meticulously hand-painted, so no two are exactly alike! Attractive window box packaging. Collect them all! Paint Me a Pepto is a champion cutting horse mare. Dual-registered with the American Paint Horse Assn (APHA), "Deja" as she is called by her owners at Painted Valley Ranch, has earned her APHA Certificate of Achievement, Certificate of Recognition, and Open and Amateur Register of Merits - all in addition to multiple World an Reserve World Champion titles! 1:9th scale model horse measures approximately 12-inches long and 9-inches tall. 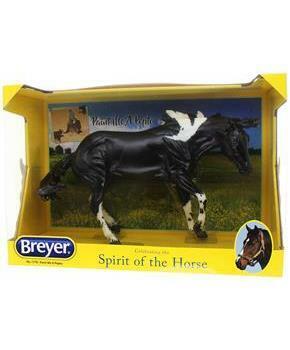 Part of Breyer's Traditional series, model horses offering an unmatched level of realism and attention to detail appreciated by children and adults alike. Model is meticulously hand-painted, so no two are exactly alike! Collect them all!